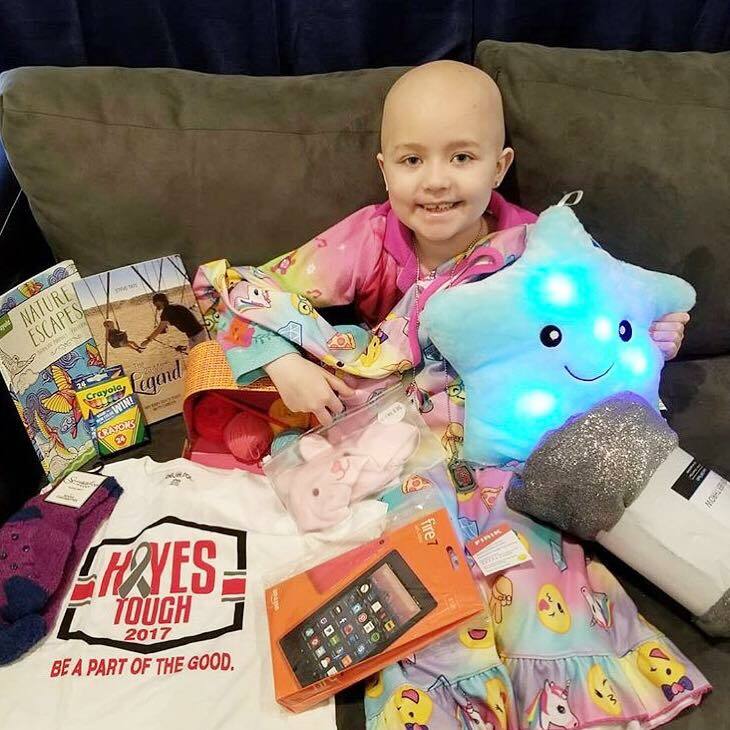 HayesTough Comfort Kits are designed for children who have recently been diagnosed with cancer and their family. We know first-hand how the support of others can help lift you up when the world is spinning around you. We know that during those first few days in the hospital it can be helpful to have simple everyday needs met. The HayesArmy is here to help. To request a kit for yourself or for someone you know could use the support, please fill out the form below. It is important that you include a valid email address as we may need to contact you regarding your order. When your child is diagnosed with cancer, sometimes the most important thing is to simply know you are not alone. 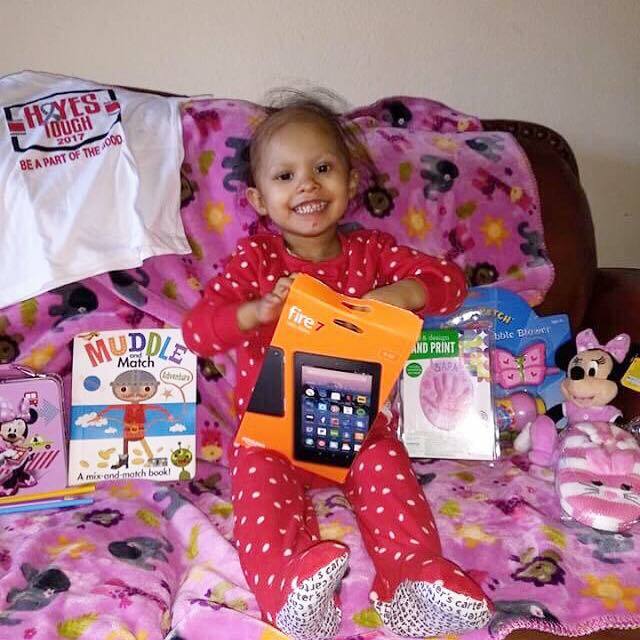 Through the HayesTough Comfort Kit program, our donors have the ability to touch the lives of those who need it most. Due to the cost of materials and shipping, this program is not possible without the generous support of our donors. To help keep this program running, please consider sponsoring two kits for $25 or four for $50 or making a donation of any amount by clicking on the sponsor button above. Kit materials can also be purchased directly from our Amazon List and we gladly accept gift cards for stores where Comfort Kit supplies are frequently purchased. These stores include Redbox.com, Amazon.com, Target, and Starbucks. E-gift cards can be emailed to info@hayestough.org. Physical gift cards can be mailed to HayesTough Foundation, P.O. Box 91116, Salt Lake City, UT 84109-1116. Thank you for your support of the HayesTough Comfort Kit program and for choosing to 'Be a Part of the Good'!